Even after all these years of recording insects in our yard, it is still possible to discover a few new ones. Take last week. I found this tiny caterpillar feeding on a Thurber's cotton leaf. With a little research I found out it is the larva of the cotton leaf perforator moth, Bucculatrix thurberiella. The youngest caterpillars mine the leaves on the inside, creating tiny tunnels. When they get larger, they stay on the surface chewing out window panes of leaf tissue. You can see photographs of the adult moth at Discover Life. Am I worried about this caterpillar feeding on my plant? Well, no. First of all the caterpillar is very small, and the plant is very big. Secondly, it is winter and the cotton plant is losing its leaves anyway. 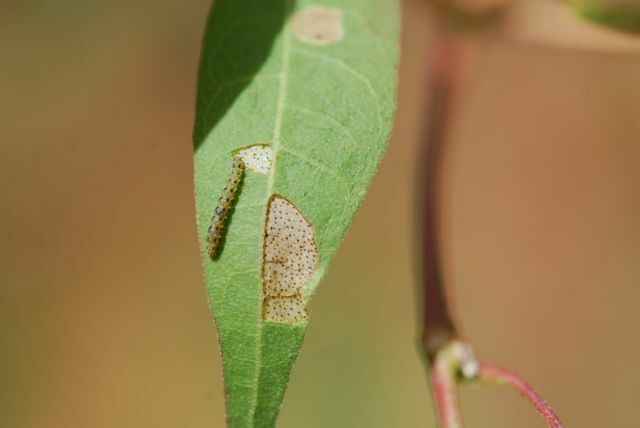 What difference does it make if a caterpillar takes a few bites before the leaf falls off? You can see more at this related post about Thurber's cotton. 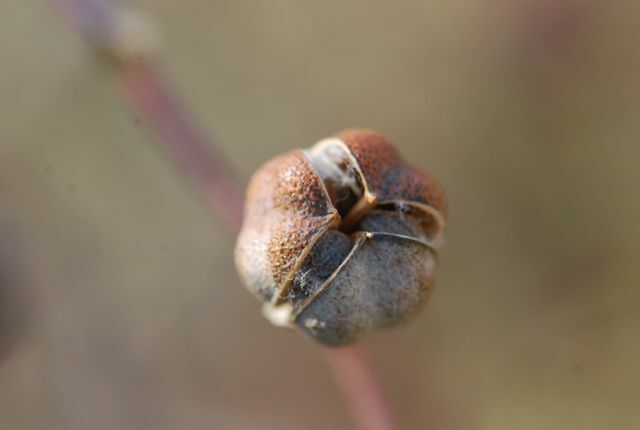 Our mystery seeds in the "pod" were from a lovely plant called Thurber's cotton, Gossypium thurberi. 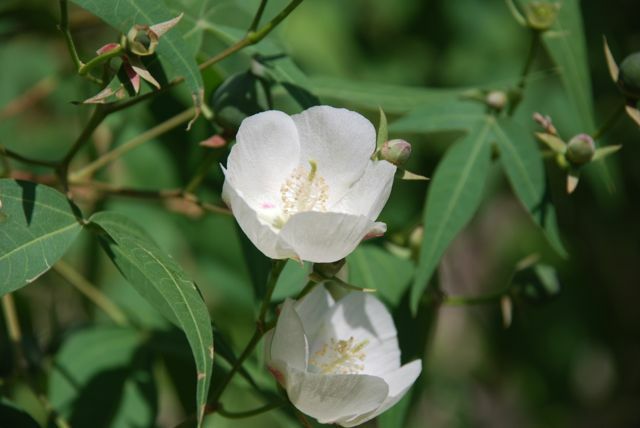 If allowed to reach its full potential, Thurber's cotton is a large shrub or small tree, reaching up to 15 feet tall. 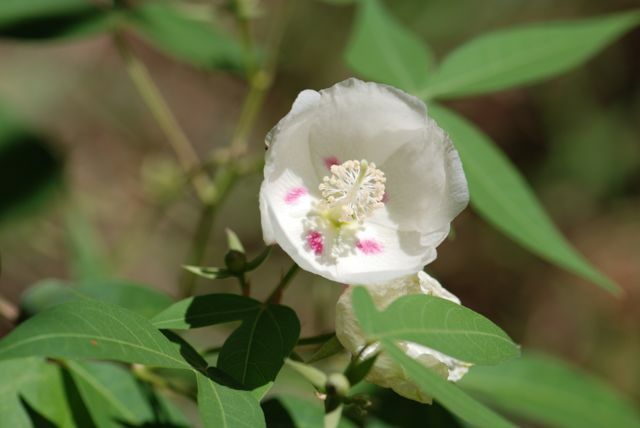 It is native to Arizona, and is also called Arizona or desert cotton. Although I called it a pod not to give away the answer, this structure is actually a "boll." If you look closely, you can see the white fuzz of "cotton" around the seeds. There usually isn't enough fiber to bother trying to harvest it, though. 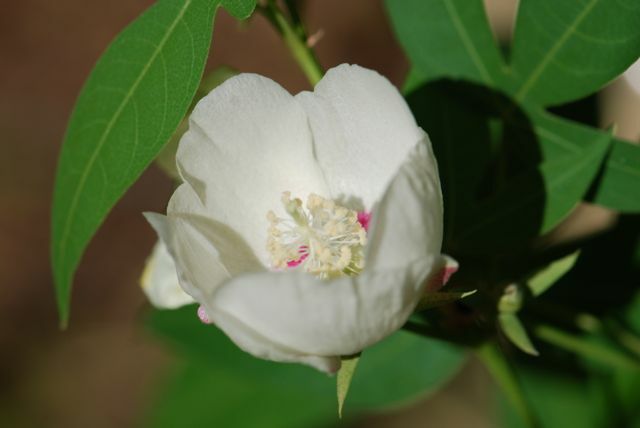 Thurber's cotton plants have palmate leaves, mostly with three lobes. The leaves fall off in the winter. The best part about the plant are the delicate, cupped flowers with a hint of pink. Have you ever seen cotton growing? How does this plant compare? 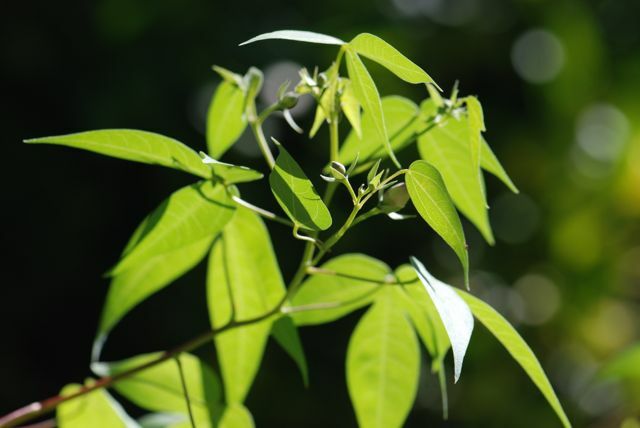 Check out Bug of the Week tomorrow for more about this plant.